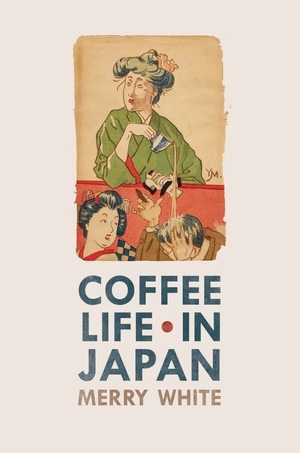 This fascinating book—part ethnography, part memoir—traces Japan’s vibrant café society over one hundred and thirty years. Merry White traces Japan’s coffee craze from the turn of the twentieth century, when Japan helped to launch the Brazilian coffee industry, to the present day, as uniquely Japanese ways with coffee surface in Europe and America. White’s book takes up themes as diverse as gender, privacy, perfectionism, and urbanism. She shows how coffee and coffee spaces have been central to the formation of Japanese notions about the uses of public space, social change, modernity, and pleasure. White describes how the café in Japan, from its start in 1888, has been a place to encounter new ideas and experiments in thought, behavior, sexuality , dress, and taste. It is where a person can be socially, artistically, or philosophically engaged or politically vocal. It is also, importantly, an urban oasis, where one can be private in public. Merry White is Professor of Anthropology at Boston University and is the author of many books, including Perfectly Japanese: Making Families in an Era of Upheaval (UC Press) and The Japanese Overseas.